One of the most effective, cost-efficient ways to communicate with customers, employees and more is through online surveys. 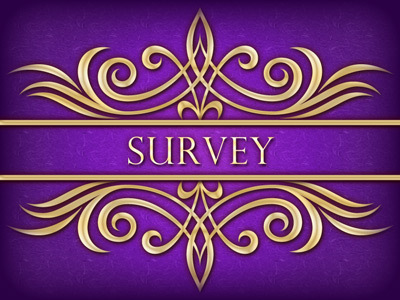 The beauty of online surveys is that you can quickly create, distribute and get feedback on your survey. And because the responses are collected in real time, the data is automatically recorded, sorted and analyzed to quickly provide meaningful results. CorpNote lets you easily create, share and manage online surveys. Your surveys can have up to 20 questions with a variety of answer types. 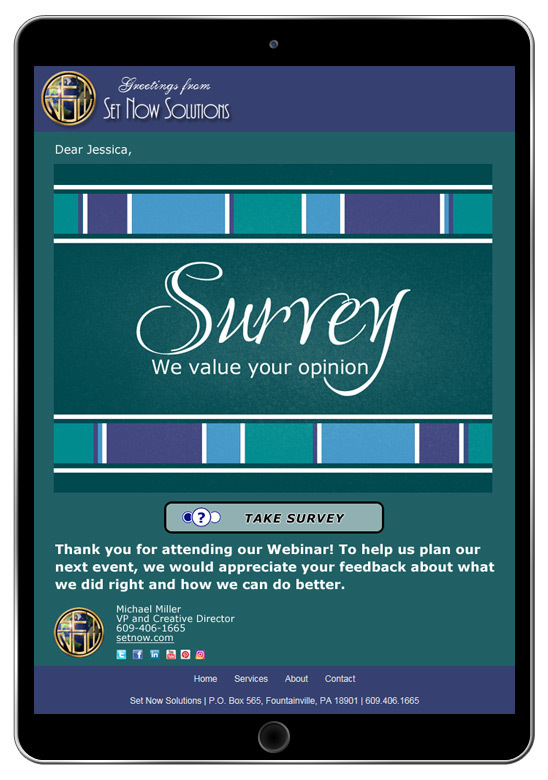 CorpNote surveys are mobile-friendly and can be sent via email, text or shared in your social media, so you can reach the maximum number of people with the minimum amount of effort! Customer feedback — Companies that offer a product or service will send an online survey to their clients either once a year as a regular touch-point, or after a business transaction. Employee communications — Whether a company wants to thoroughly evaluate their staff's job satisfaction, or if they simply want to ask them what performer to hire for a holiday party, online surveys make it easy to distribute a questionnaire and tabulate the results. Communicating with the general public — CorpNote's online surveys provide an easy way to customize, publish and share surveys without the need for a webmaster or any internet experience. 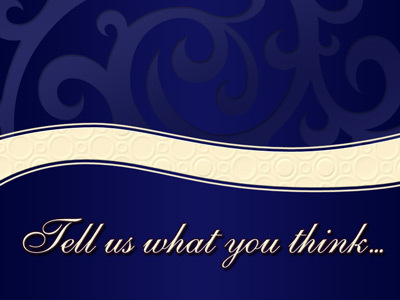 Please rate your recent experience with us. Were your inquiries/requests answered promptly? Are there products/services you'd like to see us offer in the future? Does your company communicate with employees via an online newsletter, internal website, email or social media? CorpNote Online Surveys can be seamlessly shared via your existing communication channels, or you can easily send a survey using CorpNote's eCards. Pre-event Questionnaire — With an online survey you can easily get topic suggestions for upcoming seminars, or menu preferences for an upcoming event. After-event follow-up — Great for meetings and seminars, and for any time that you want to evaluate the effectiveness and satisfaction of your company's events. Staff/company Recommendations — Online surveys are a terrific way to poll your employees to find out their interest and ideas on a wide range of topics. This can range from their feedback on company programs like sports or company social events, to ideas for better employee recognition or improving your business' products/services. Because they are so easy to create and share, we're sure you will think of many ways to use our online surveys. Create short opinion polls that you can share with your social media followers. Post a link to a product suggestion form on your company website. Include a survey in your email footer asking for consumer feedback. Focus and brevity — Develop targeted survey questions and be brief. Your CorpNote survey can have up to 20 questions; but we see the greatest response rates in surveys that can be completed in under 3 minutes. Customize questions to fit your audience — Too often, people try to create a single one-size-fits-all survey. Since there's no cost per survey or per recipient, you can improve the quality of your survey data by tailoring different versions of your survey to different people. For instance, customer surveys may be divided between new customers that recently did business with you, and long-time customers that you haven't heard from in a while. Selectivity and exclusivity — Send your survey to a few, carefully selected groups of people and let them know they have been uniquely selected for the survey. What you learn from your initial responses might help you refine your survey for when you send it to your next selected group. Reward people for their time — Thank your customers for their time and insight! Consider having an incentive to encourage people to complete your survey. It could be a coupon code good for 15% off their next purchase, or you can tell them they'll be entered in a drawing for a gift for taking the survey in the text of your survey eCard. There are many ways to use CorpNote and online surveys to fit your exact needs. CorpNote also lets you customize your survey to match your company's branding. CorpNote surveys are included in all CorpNote memberships, and you can create any number of surveys with an unlimited number of recipients. You can require First Name, Last Name, Email Address and Company, or you can make the survey anonymous. Surveys may contain up to 20 questions. Survey question types can be multiple choice (pick one), multiple selections (pick as many as apply), rating question (select on a scale from 1-5) or open text answers. Each question can have an optional comments field. When a survey is completed, it will display your customized confirmation message. Want more customizing options? 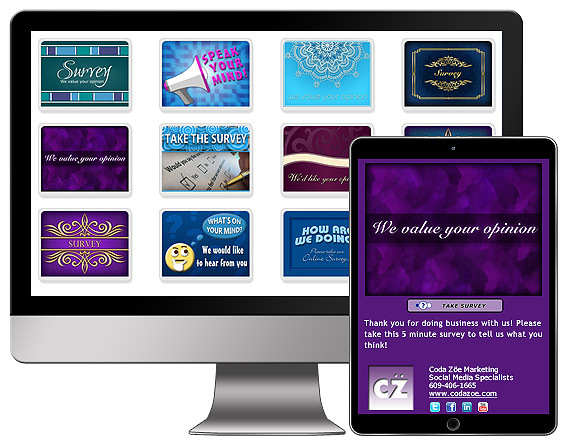 CorpNote lets you send your survey via an eCard that is tailored with your business' logo and company colors. You can use one of our eCard images or upload your own to match your branding, which can be designed specifically for your employees or customers. Enable email notifications that let you know when someone submits a survey. This can be set to notify you once daily when there is a submission, or to email you with every response. When you send surveys using CorpNote's eCards, you can easily continue the interaction with your contacts – perfect for following up or reaching the same survey participants at a later date. Copy existing surveys to edit and send to different groups or for different occasions. Easily add or manage survey data for people who email or phone in their response. View individual survey responses or aggregate survey data. Download Excel reports of survey data for further analysis. Fixed pricing with unlimited sending — CorpNote's affordable fixed-price monthly memberships let you create and send as many online surveys, online invitations and eCards as you like. With CorpNote, there's never a long-term commitment to get our best pricing. You can try CorpNote's surveys (and ALL our online tools) risk-free for 10 days — CorpNote's Individual Membership comes with a 10-day satisfaction guarantee. Simply sign up and use the service as much as you like for the first 10 days... if you're not completely happy then cancel your membership and ask us for a full refund. Your satisfaction is our #1 priority! CorpNote is designed for business — Since CorpNote was designed specifically for business use, we appreciate how important it is for professionals to be able to match all their electronic communications to their company branding. With every CorpNote eCard, you can upload your logo, compose your own message, choose your colors and customize links to your website and social media. 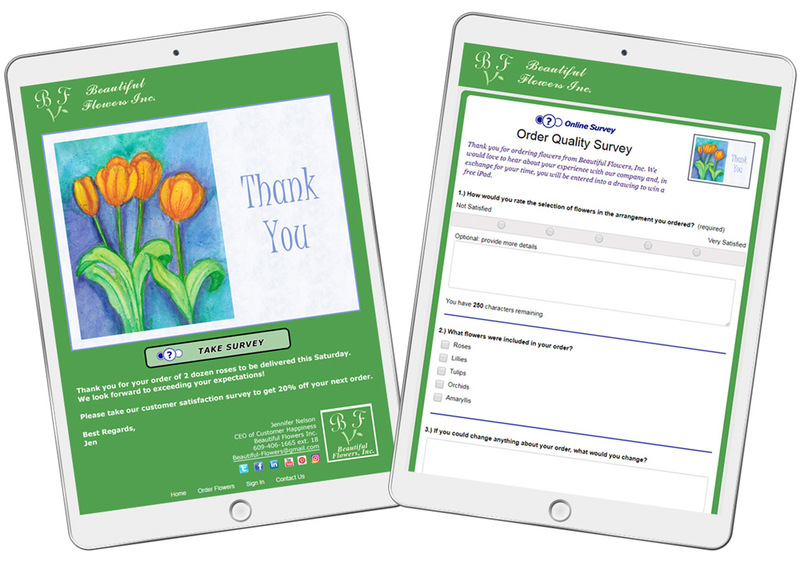 Your contacts will receive a personally addressed, professional eCard that highlights your business and gives them lots of ways to interact with your message, including – but not limited to – your online surveys. Would you like to offer the ability to send CorpNote surveys to coworkers? Our 'Multi-user Membership' gives other people in your company their own CorpNote account at reduced pricing. Our Multi-user Membership lets the primary member (the 'plan administrator') create additional CorpNote accounts for coworkers. Each account includes unlimited sending of eCards, invitations and surveys with their own address book, personalized logo/photo and contact information. These accounts can be created and deactivated based on when you need them, and you'll only pay for the months that these accounts are active. Companies with sales or marketing teams that are responsible for managing different territories. Businesses and organizations that have employees that only need eCards, event management or online surveys for certain parts of the year, like the year-end holiday season. Professionals that want to offer communications tools to their employees, but need to meet certain company correspondence rules or brand guidelines. Multi-user plan administrators can create custom message templates and set art styles for their employees to use, to conform to your specific design and message needs.